Although hotels fluctuate in their ability to deliver a consistent quality of service and fashions change from time-to-time, these are the places we’ll currently always stay at if we’re in these cities and locations. To date they haven’t failed us; we’ll let you know if anything changes. We don’t always, if ever, pick the most luxurious or the most expensive as we don’t often find this will equate to the most attractive, best service or most character in a place. Our first three choices are places we’ve visited time and time again because of their ambience, service or character and the fact that we almost feel at home there. Sometimes in India it’s also just good to escape for a moment from the madness and colour outside, just to recuperate briefly before venturing forth again to absorb all that India offers. Our fourth choice is difficult because there are a number of excellent choices on the fringes of Kanha National Park but we chose Singinawa, not only because it’s a haven within the jungle with all of the comfort and service you’d expect, without losing its jungle charm but because we met Latika Nath (the co-owner) many years ago when we first embarked on tiger conservation and her work continues through the vehicle of her lodge to benefit both people and wildlife. 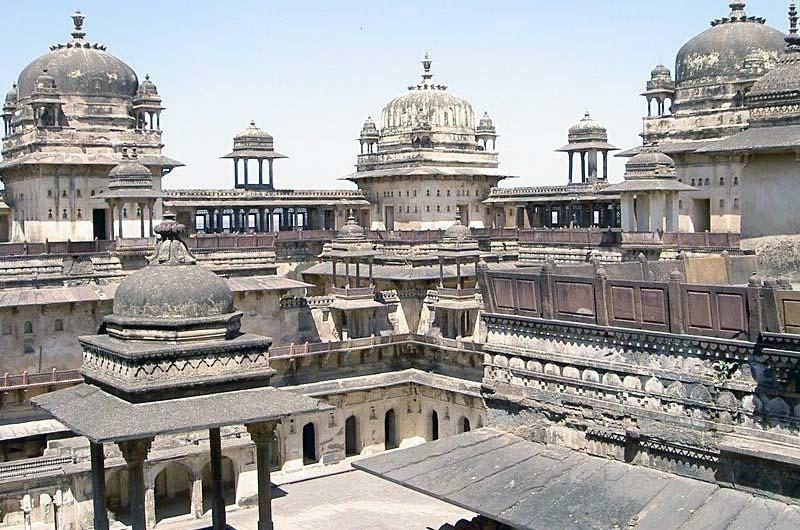 Our last choice, the Sheesh Mahal, is our wild card! It’s difficult to say that it represents luxury but it does reflect the grandeur of a long past era. We used to visit the Sheesh Mahal when covering the length and breadth of India in search of a base to live with our children – and by comparison with some of the flea pits we stayed in it did represent a welcome and quirky haven. It is a Heritage Hotel and certainly you can’t fail to be impressed by the structure and architecture – just go with a sense of humour and a degree more tolerance for the unexpected, or the malfunctioning, than you would normally and you’ll have a fascinating time. 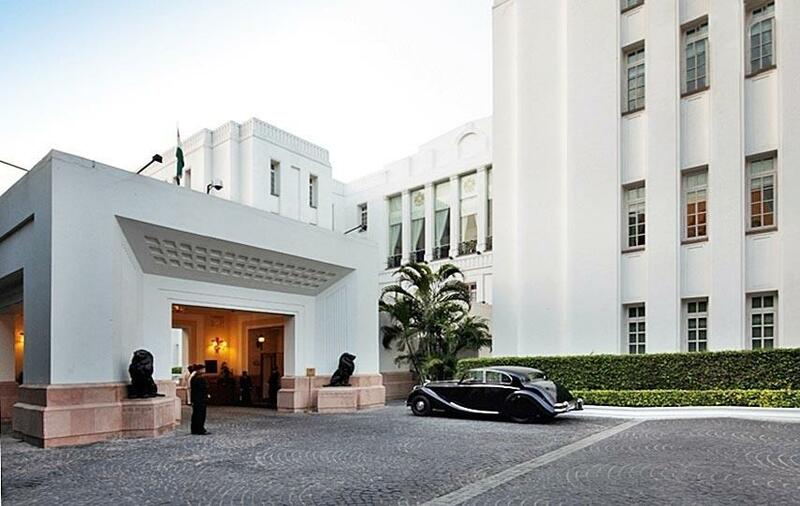 A colonial masterpiece that excels in aesthetics and service – situated in the heart of New Delhi on the busy Janpath boulevard – a must visit if in Delhi just to escape the frenetic life outside. The Imperial does everything well, from the smartly liveried doormen, the spacious and beautifully decorated rooms, to al fresco lunchtime dining on the lawn. Be careful not to wander back to the buffet table and leave anything enticing on your plate as ever vigilant Kites circling overhead will swoop and devour it for you. Great fun to watch unsuspecting visitors introduced to this impromptu entertainment. The Taj vies for our number one slot simply because it’s the epitome of Indian opulence as opposed to the Imperial’s Colonial style and there’s little to choose between them. 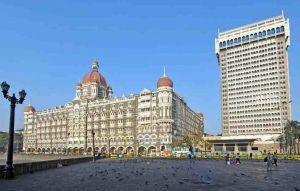 The Taj is testament to Tata’s vision in the late 1800’s and his ability to create a palace fit for kings and the great and the good of all continents – and an opportunity to snub the British. A wander through the ground floor hallways is a passage back into Hollywood and the political arena over the centuries. 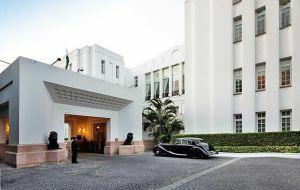 Our personal preference is the original palace building with its wide open galleried staircase and airy balconied wings that look out over the sea (other rooms overlook the swimming pool courtyard). The newer tower block alongside offers a different more contemporary style and viewpoint out into Mumbai Harbour. 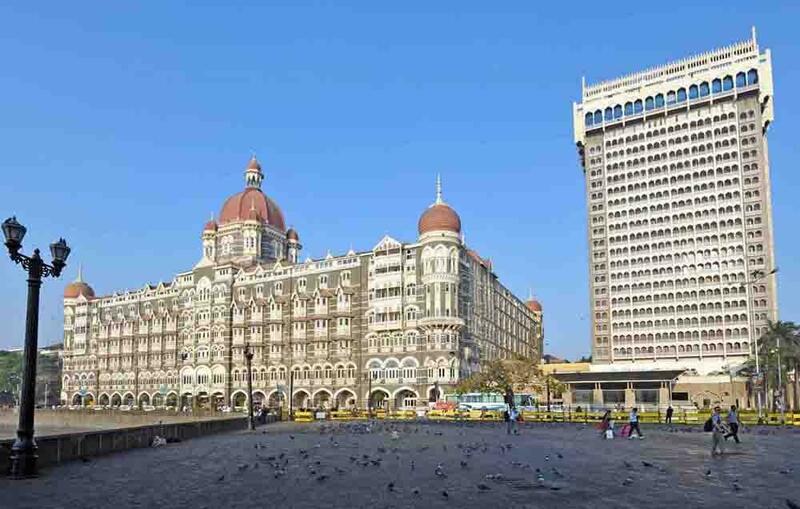 Once booked in, it’s tempting to stay in the hotel and just graze between the numerous restaurants and attractions it has to offer, or to sit in the main entrance atrium and watch the world go by – but whatever your choice, you’re ideally situated in Colaba district to visit any part of Mumbai; only a short taxi ride away. If you like this Taj then their network of heritage style hotels throughout India can be relied upon to please. It’s not often that you’ll find tourists aiming for Bhopal as a destination, often using it as a transit point to the jungles of Madhya Pradesh but we’d recommend anyone to take the time for a more extended break at Jehan Numa, the very first Heritage Grand Hotel in India. 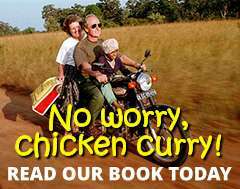 Having spent many years living in the sub-continent and often deprived of the simple pleasures whilst in Madhya Pradesh’s jungles, a visit to Jehan Numa often restored our equilibrium and perspective on what was good about life. The owners, Nadir and Yawar Rashid are grandsons of the once ruling royalty when the hotel was a Nawab’s palace and their constant attention to detail and ever-courteous application to running a first class establishment makes it feel more like a home than a hotel. 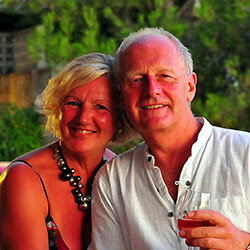 Over the years they have always been consistent in their hospitality and welcome whenever we’ve visited. 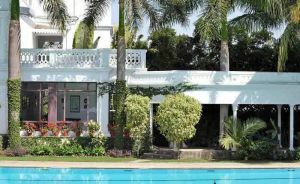 As always, there are pretenders to the mantle of luxury hotel but there’s an atmosphere of quiet calm and style that Jehan Numa does so well in Shamla Hills, imparting tranquillity without being miles from the main facilities of Bhopal. 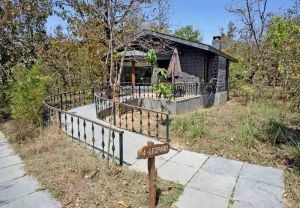 Do take the time to visit – they’ll even organise a trip to the jungle and a stay in their equally impressive Reni Pani Jungle Lodge on the edge of Satpura National Park if you’ve a mind to visit the jungle in style. Not really a city, Kanha is nevertheless one of the focal points for anyone interested in tigers and safari. 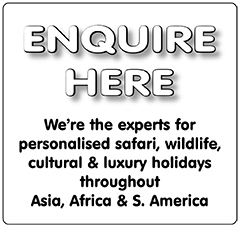 It’s a national park which in our opinion seems to strike a workable balance between conservation and tourism and as such has attracted a host of lodges, hotels and hostels of varying degrees of comfort. We select Singinawa, not least because the owners, Latika Nath and her husband, are avid and active supporters of the environment from which they prosper but also because of the modern but surprisingly sympathetic way in which their lodge integrates with its surroundings. 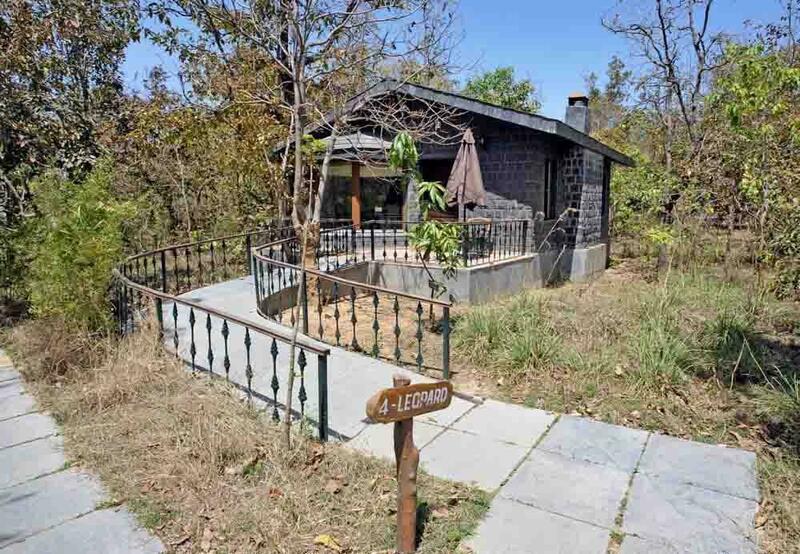 The beautifully individual stone and slate built cottages, each with local art decorating their walls and fire place warming your living area (yes it can get cold in India) give a sense of the jungle without all of the deprivations normally associated with it; whilst the central Lodge manages to impart a feeling of permanence and history; together with its lounge being a super meeting place following your jungle tour or for after dinner. We understand that the camp is now under the control of a new M.D. – so let’s see if anything changes. Their new website is certainly an improvement, if nothing else! We’d never remotely class this hotel as luxury and its decidedly ‘budget’ but it eclipses all others in regard of the unusual; hence perversely being one of our favourites. 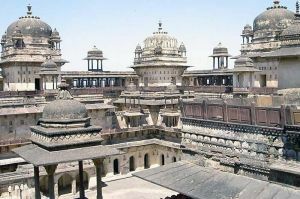 The journey to Orcha is not for the faint hearted and most easily reached by taxi from Jhansi station after negotiating on the rank – always offer about one third of what is being asked and settle at around half! It’s about 15km away. If you’re really brave you could catch one of the open tricycle taxis that run from the bus station, once full, and rattle and smoke all their way to Orcha. Either way you’ll arrive at what appears to be a weather-beaten relic of the past – both town and hotel – surrounded by burial Chhatris or cenotaphs; the old palace style hotel does deliver more than it obviously promises. Each of the rooms is unique and quirky, comfortable but not luxurious; food is amusing and the ‘entertainment’ when available can be disconcerting; the male friends in our group taking a shine to one of the dancing girls who had bumps in the wrong places. You can virtually guarantee something will not work when you’re there and you’ll need a sense of humour when in Orcha but it’s easy to walk to all main points in the town. It’s a great example of ancient Indian architecture that’s ‘frozen in time’ ie. seemingly not maintained since built.